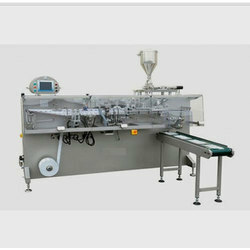 So as to uphold the standing we have built up, we are engrossed in presenting a broad compilation of Food Packing Machine. Our machine range for filling and capping premade pouches with corner or center spout as well as side gusset bags with spout has been designed for hygienic and high quality production. Biscuits, Candies, Cakes, Bearings, Disposable Syringe, Chikkies, Chocolate Bar, Soaps, Noddles, Cartridges etc. This machine is best suited for the item to pack in solid form with exact and similar shape in single or multiple numbers in one pouch. - Base of heavy steel construction. Our Company is one of the remarkable and trustworthy names in the market for offering a wide assortment of Food Packaging Machine to our valued clients. We have established ourselves as a preferred supplier of food processing items. 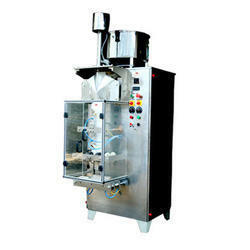 We are offer a wide range of Food Packaging Machines, that are specially designed for allied industries.